Hey, guys! Today we are going to talk about the 5 most awaited and upcoming marvel movies. Everyone is eagerly waiting right ?! Last month marvel shared the first teaser of Guardians of the Galaxy vol. 2 describing it as the official sneak-peak. All five main characters- star lord, gamora, rocket, Drax and 'baby'groot. It is set two months after the first movie where the ravagers find out that peter quill double crossed them about the infinity stone (orb). That's all. Everything else is yet to be discovered. Once again spider-man series is starting afresh, with Tom Holland being the new spider-man. It will most probably hit the theatres in July 2017. The first look of the movie is said to be launched with the upcoming movie Rogue One but there is no news as of now. Everyone is excited about this new spiderman action-thriller as spiderman gets his first solo movie in the Marvel Cinematic Universe! The third instalment in the Thor series 'Thor: Ragnarok' will also be coming in the next year. As seen from the post-credit scene of recently released marvel's Doctor Strange , Benedict Cumberbatch will also make an appearance in the movie helping Thor find his father Odin. Predictions are that the last infinity stone will also be found in this action-thriller. 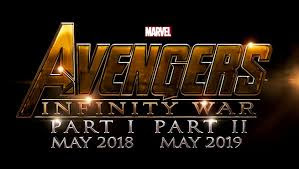 The most awaited marvel movie is obviously the final Avenger's movie 'Infinity War'. Maybe it is the most awaited because everyone knows everything will end with this movie and marvel will have a new beginning. There haven't been any sneak-peaks or teasers but seeing all the movies we know what is going to happen. Thanos has been trying to get the infinity stones to combine them in the infinity gauntlet and then he will finally have the power to destroy the world. But the catch is will he be able to gather all the stones from the mighty avengers when they all come together and if he manages to do so then will the avengers be able to stop him ?! We will have to wait for some time to know what exactly will happen ! T'Challa (black panther) is the new ruler of an advanced kingdom of Wakanda and his duty is to protect his kingdom from being torn apart by outsiders. Most probably some of the avengers including Captain America and his friend Bucky will be appearing in the as shown in the post-credit scene of Civil War. The scene shows Cap and T'Challa standing in a building while bucky is being treated , the captain says what if they come for him ? what will we do? T'Challa replies with confidence and says "let them try" , and then outside of the building is a forest (Wakanda) and a big statue of a Panther . But there is no confirmation of what exactly is going to happen so we will have to wait for the teaser or the trailer for that !